Add a touch of luxury to a bedroom or hallway with the Martinez Wall Lamp by Eichholtz. 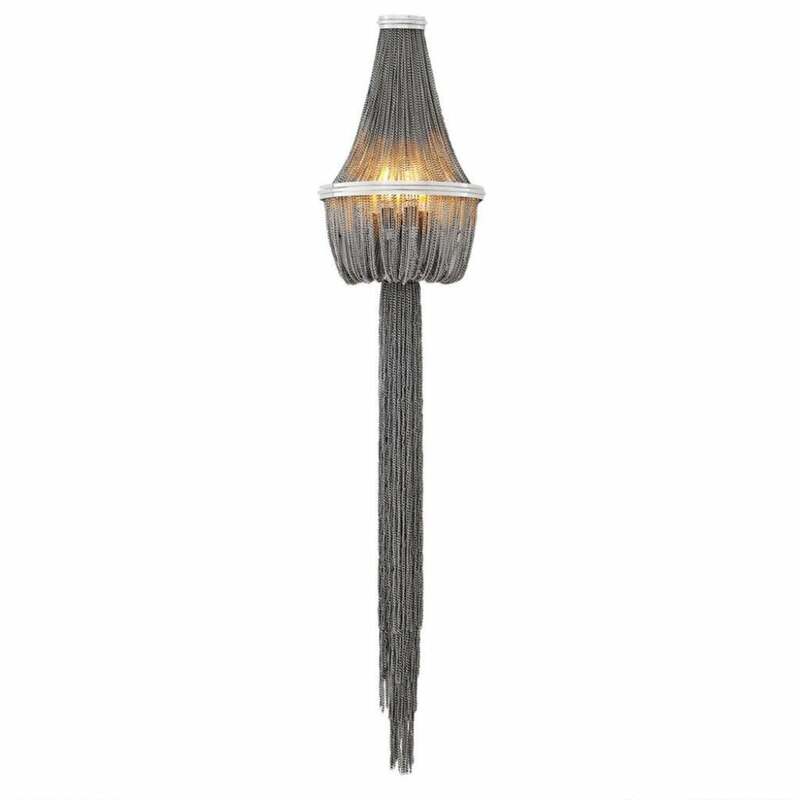 Inspired by the glitz and glamour of 1930's Hollywood, this luxurious wall lamp features a free-flowing design that resembles the chains of fine jewellery. Finished in a contemporary nickel hue, style with clean lines and minimalistic accessories to let this striking wall lamp take centre-stage. Also available in a radiant gold finish.